Sierra-at-Tahoe will join the party Saturday, becoming one more Lake Tahoe ski resort that will open for the season with skiing and snowboarding. Sierra-at-Tahoe is preparing for Saturday’s opening. It will have early-season conditions and limited terrain, accessed by two chairlifts and two surface lifts. 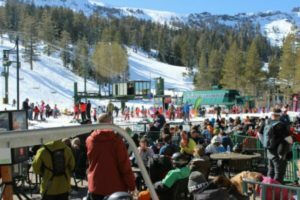 Located along Highway 50 heading into South Lake Tahoe, family-friendly Sierra-at-Tahoe announced earlier this week that it will open for the 2016/17 with early-season conditions and limited terrain, accessed by two chairlifts and two surface lifts. Sierra will be operating Easy Rider Express and Rock Garden with access to Broadway and Echo beginner trails. There will also be a terrain park with small to medium features, allowing guests to get their park legs back underneath them. Sierra-at-Tahoe is known as the “locals spot,” a bastion of the authentic California ski experience. Sierra passholders can pick up their season pass and a lift ticket goes for $65 for adults, $55 for young adults, $53 for seniors, and $29 for kids and super seniors. Limited operations on opening day will include children’s ski school lessons, limited adult ski school operations, beer and food in The Pub and Mama’s Kitchen, gear in the rental shops, plus holiday shopping at Sierra Mt. Sports. Both Sugar Bowl and Kirkwood Mountain opened today (Nov. 25) for skiing and riding. Sierra-at-Tahoe’s opening will bring the count to 10 Lake Tahoe ski resorts that are now open for the season. Located off Interstate 80 at the Norden exit, Sugar Bowl says it will have top-to-bottom skiing and riding on 1,500 vertical feet of terrain. The Mt. Lincoln Express, Christmas Tree, and Nob Hill chairlifts will operate from 9 a.m. to 4 p.m. Access to the resort will be through both the Gondola and by parking at Judah Lodge for a short walk into the Village. Royal Gorge, located near Sugar Bowl, also opened today and is offering 40 km of groomed cross-country trails from Summit and Village Stations with full services from 8:30 a.m. to 4 p.m. Visit www.royalgorge.com for complete opening day information. Kirkwood ski resort opened today, becoming the ninth Lake Tahoe ski resort to begin running its lifts for the 2016-17 season. 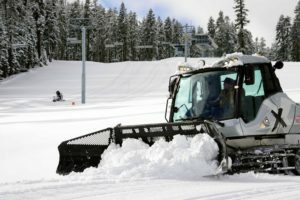 Five Tahoe ski resorts opened Wednesday – Heavenly, Northstar California, Alpine Meadows, Squaw Valley and Soda Springs. Both Mt. Rose and Boreal Mountain were the first Tahoe-area resorts to start running their lifts Nov. 18.